“Patients can be harmed & killed by medicines that have not been proven to be safe & effective via...controlled clinical trials. The use of medicines that have not been manufactured to the highest possible standards is irresponsible.” –Dr. Cattaneo. An international group of leading stem cell researchers has issued a statement that specifies concerns about the development and use of unproven stem cell therapies. The commentary was published recently, ahead of a debate in the Italian parliament on whether to change a recent law that allows certain untested stem cell therapies to be used by the public health system. The authors of the commentary argue that rigorous clinical testing and regulation of stem cell therapies are essential to introduce safe and effective medical interventions for patients. “Stem cells may offer unprecedented opportunities to develop treatments for many diseases with unmet medical needs. This will take time. However, only rigorous science and responsible regulation can ensure the safe and effective translation of science into effective therapies,” remarked Paolo Bianco, Pathologist, Stem Cell Biologist, Professor of Pathology at the University of Roma "La Sapienza" and one of the 13 authors of the commentary who come from Italy, Germany, the United Kingdom, The Netherlands, and the United States. The concerns of the scientific community have been heightened by pending legislative action that may allow routine administration of unproven stem cell therapies to patients in Italy. Despite a lack of rigorous clinical trials to test safety or efficacy, a ban of the treatment by health authorities, and a lack of peer review by the scientific community, the privately funded Stamina Foundation has been using cultured mesenchymal stem cells that have been exposed to putative conditions that favor neuronal differentiation to treat different diseases in severely or terminally ill patients. The Italian Chamber decides shortly whether they will proceed with controversial legislation passed in the Senate on 21 March that allows the unproven stem cell treatment developed by the Stamina Foundation to be used for severely or terminally ill new patients for 18 months. “The adoption of this law may set a dangerous precedent for patients looking to be treated with other unproven stem cell therapies in Europe and other countries,” remarked Hans Clevers, Professor of Molecular Genetics and President of the Royal Netherlands Academy of Arts and Sciences. Preclinical and clinical tests have been used successfully in the past for the introduction of therapies for bone marrow transplantation and the regeneration of skin and cornea in patients. The authors of the commentary emphasize that cell therapies must be approved by international and national regulatory agencies and remain under the strict vigilance of health authorities. Regulations already in place in the European Union insist that stem cell therapies follow the same safety and efficacy rules as pharmaceuticals. They need to be prepared and manufactured in highly controlled environments with precise protocols, trace-ability, and accountability. “It is disconcerting that the Italian Senate has passed amendments that permit the use of unproven stem cell therapies without proper vigilance or proper experiment, reclassifying them as transplants,” commented Bianco. “Infusions of mesenchymal stem cells are not transplants in any way. 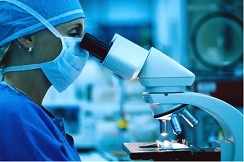 In Europe and the United States, all kinds of cell preparations that are administered to patients following ex vivo culturing are classified as medicines, and monitored by drug agencies such as the US Food and Drug Administration, the European Medicines Agency, and, in Italy, the Agenzia Italiana del Farmaco or AIFA. A host of proper and improper commercial interests might benefit from these new rules that abrogate both safety and proper ways of experimentation. Patients may be harmed,” concluded Bianco.